Yes, I just put the words “chocolate” and “flower” together and it was neither a mistake nor an edible creation I whipped up in the kitchen. When I saw this packet of seeds at Wildseed Farms it was a no-brainer. I mean, hello. This is their second year (they reseed) and they’re still slightly mind-boggling. They’re not the most beautiful things in the world–a little sloppy, maybe?–but first thing in the morning the smell of chocolate is intense. Not chocolate like Hershey’s, chocolate like cocoa powder. Dutch process cocoa powder, at that. Yum. Better Homes & Gardens has a whole slideshow of chocolate plants of one kind or another. I already have two of them–my hot cocoa roses will be featured on a future Friday. BH&G claims chocolate flowers get to be 8 inches tall, but mine are easily three times that high. I’m thinking of adding some cute little trellis-y thing, maybe one of the Eiffel Tower variety, to keep them off their neighbors. Of course, I’m also thinking of where I could put an entire chocolate garden, but that’s another story. Happy Friday! P.S. Links provided for your convenience, not a sponsored post. It looks great with the bird bath. I’m so glad our blue birdbath could find such a happy home!! 🙂 This looks wonderful. I’ve seen some ads for the chocolate flower. 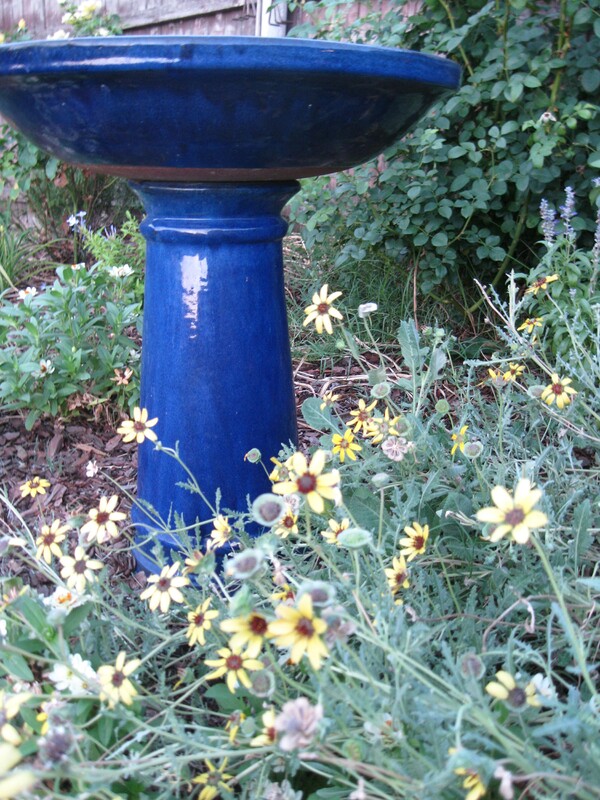 They look beautiful – and especially with the blue birdbath. I think I’ll try these next year. Thanks for the suggestion. 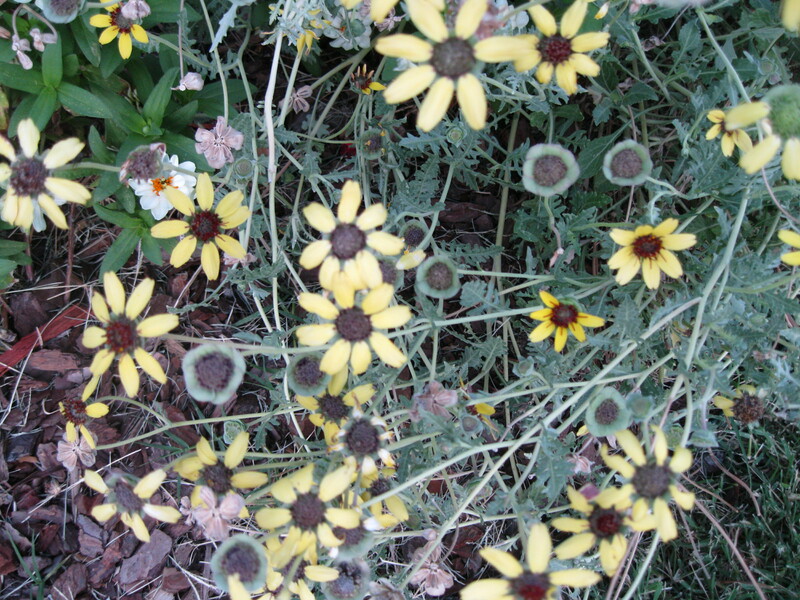 I KNEW I shoulda gone to the Wildseed Farms this year!…. Sheri, it’s not too late, they do mail order! Though I grant you, it’s not as fun as wandering through their beautiful ‘compound’ of gorgeousness. Oh my goodness.. chocolate flowers.. Oh I am so going to look for these.